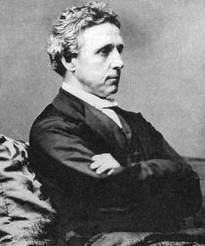 Lewis Carroll (1832 – 1898), English Logician, Mathematician, Photographer and Novelist, is especially remembered for Alice's Adventures in Wonderland. His writings and ideas have been an enormous influence in many fields of the arts and sciences, all over the world. Carroll’s particular mix of creativity, puns, fantasy, word play, satire, Dadaist nonsense, and weird wit have gained him a place in popular culture. His most memorable characters are: Alice herself, the March Hare, the wise Dodo, a mad Hatter, the hookah smoking Blue Caterpillar, and the Cheshire Cat. Although many of Carroll’s witticisms may appear nonsensical —on the surface— if we dig a little deeper we can find some serious hidden pearls. Comments on "If you don't know where you are going, any road will get you there - Lewis Carroll"